You are here: Home / Alumni / From graduation to a full time job… in just a few weeks! From graduation to a full time job… in just a few weeks! First Class graduate Claire Going not only earned herself a fantastic degree classification, but also landed herself a job in PR weeks after her graduation. Claire went for her interview with jmm PR, who represent clients in the kitchen and bathroom industry, and clicked instantly with the Director and Senior PR Executive. So much so, that she was offered the job the very same day, and began her role as PR Executive the following week, in July last year – just weeks after her graduation. 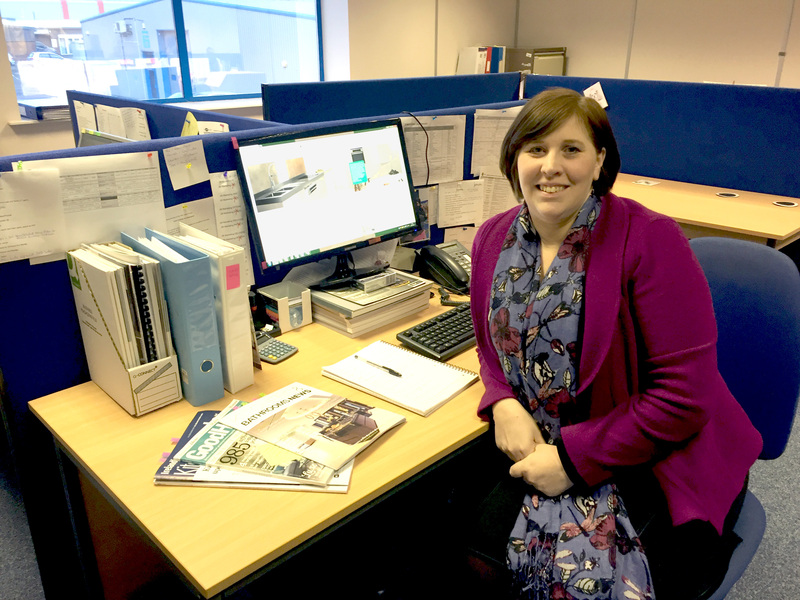 “I started out doing all the admin tasks to learn the role, including drafting and distributing press releases, monitoring online and print publications for coverage of our clients, compiling press clippings and writing weekly reports. “We have so many things to do each day and every day is different. I love forming relationships with clients and journalists and what is really perfect about PR is being able to always talk about news in a positive way. I am a positive person so it really suits me.